An easy way to install Arch Linux on a second-generation Raspberry Pi. The Creator Kit combines a Rasp Pi 2 with a custom case and a development environment for teaching electronics and programming. The Kodi media center has an updated look and slick features. Keep tabs on a snake's terrarium. Build your own website with the WordPress CMS. Improvements to an automation project. Upgrade Raspbian to the latest version without burning a new SD card. An easy-to-use Linux video editor with a ton of features. Design a multiplexing solar power system. Shell tools combine commands to create impromptu applications. ESP8266 processors become an IoT swarm. Compile programs on your PC and copy them to the Rasp Pi. 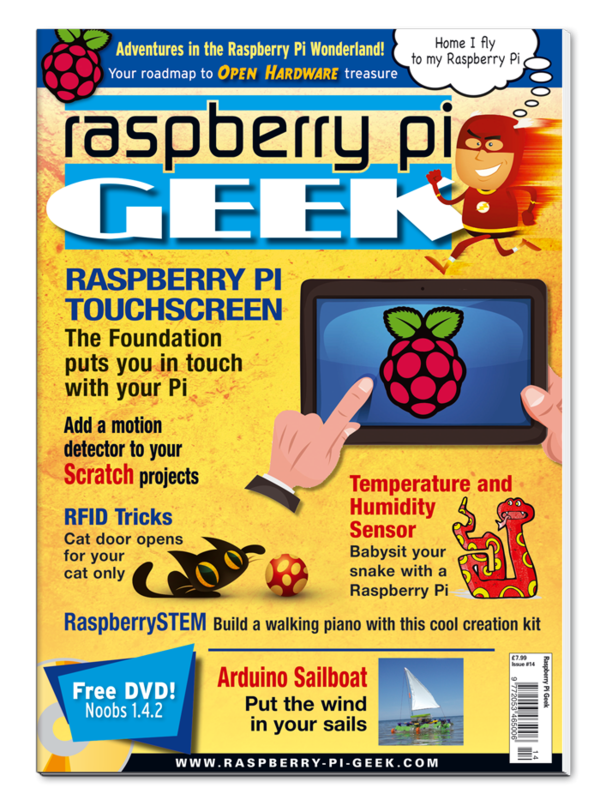 The new Scratch provides easy access to the Raspberry Pi's GPIO pins.